To celebrate the launch of their debut studio recording 'Abstract Playgrounds' on Earshift Music, I Hold The Lion's Paw will assemble for 'Music in the Mountains' with special guest, James Greening. 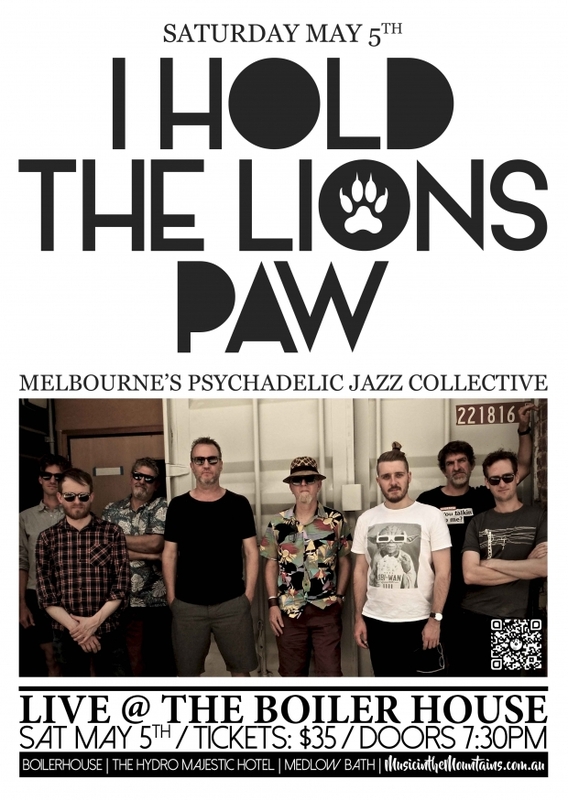 Led by Melbourne improviser/composer Reuben Lewis, I Hold the Lion's Paw represents a larger collective that has made music together for several years, and was the inaugural recipient of The Lebowski's Creative Development Residency in 2017. Expect to hear anything from harmonious free-floating melodies, electro-acoustic noise, slowly shifting tectonic plates of sound, grungy grooves, afro-beat and free jazz.